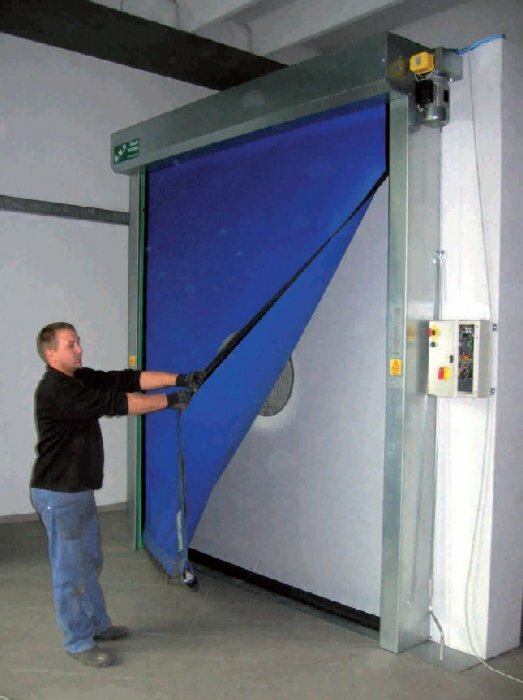 DYNAMICROLL - Self repairing high-speed roll up doors. A special Dynamicroll design causes the curtain to come out of the guide on impact and to be wound up on a top roller. The curtain is automatically repositioned after a while without expensive repairs.